Dever Orgill recalled to Reggae Boyz squad for Nations League match – Reggae Boyz Forum, your ultimate destination for Jamaica Football discussions. This topic contains 0 replies, has 1 voice, and was last updated by MNOjNHZujG 1 month ago. Striker Dever Orgill is among 17 overseas-based players called to a 23-man Reggae Boyz squad for their final CONCACAF Nations Cup qualifying match against El Salvador on March 23, and an international friendly against Costa Rica on March 26. Jamoi Topey gets his debut call up to the senior team following standout performances for Jamaica’s Under-20 squad and for Bethlehem Steele. 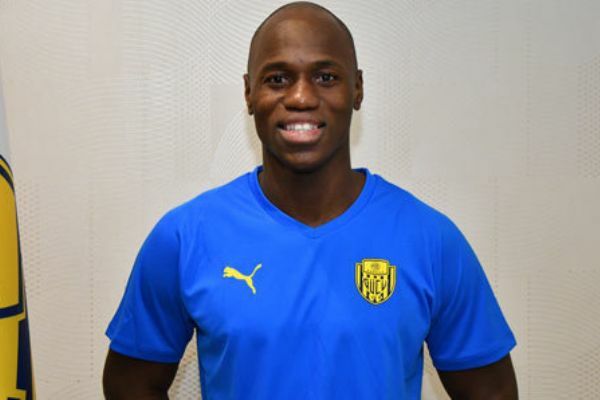 The 29-year-old Orgill scored his sixth goal in seven matches in the Turkish Super League on Sunday as Ankaragücü went down 3-1 to Yeni Malatyaspor. Team manager Roy Simpson said Orgill’s experience and goalscoring form were critical to his selection. “Orgill has been prolific throughout his life. I remember him when he played at the Under 17 and Under 20 levels he was scoring goals for us. In fact, he was one of our leading goal scorers in those respective age groups,” said Simpson of the player who last played for Jamaica in 2016 against Panama. Junior Flemming, who last played for Jamaica when Jamaica were runners up to Martinique in 2017, also makes a return to the squad. Jamaica’s Reggae Boyz are undefeated in Nations League qualifying with three victories.